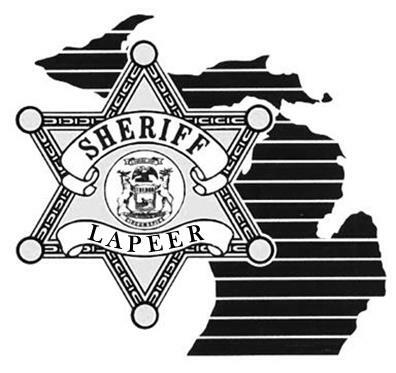 On Saturday 11-12-2016 at 4:18 PM, Lapeer County 911 dispatched Lapeer County Sheriff’s Deputies, Michigan State Police Troopers, and Department of Natural Resources Officer to a water rescue on Twin Lake in North Branch. Twin Lake is located approximately ½ mile off Kings Mill Road (Lapeer County’s Arcadia Township). Anthony Hentschel age 45 from St. Clair Shores was hunting within a wooded area near Twin Lake when he heard someone yelling for help. Hentschel was able to determine the cry for help was originating from Twin Lake. Hentschel observed a male approximately 100 yards off shore clinging to an overturned canoe. Due to water soaked clothing and cold water temperature, the male was unable to swim toward the shore. The situation became worse when the canoe started sinking. Lapeer County Sheriff’s Deputy Dan Kohler, a member of the drive team responded. Due to the canoe sinking, immediate action needed to be taken to save the man’s life. Deputy Kohler immediately changed into dive gear which he carries within the patrol unit. Lapeer County Sheriff’s Deputies were able to attach multiple water rescue discs together and attach them to an inflatable floatation vest provided by the DNR. Deputy Kohler swam out to the individual while carrying the floatation vest and line. Deputies manually pulled the male to the shore using the rope lines and vest before the canoe sank. The male was identified as Michael Gamalski age 56 from Port Huron. Gamalski stated that he was pulling up an anchor when the canoe overturned. Gamalski was very grateful for the quick actions of Deputy Kohler and all the officers involved in his rescue. Gamalski was subsequently transported to McLaren- Lapeer and later released. Due to Twin Lake being an isolated and rural georgraphic area, Anthony Hentschel, Deputy Dan Kohler, and numerous other officers played a critical role in saving Michael Gamalski’s life.